Before and after photos of a Kingston NY home that has been washed by Kellogg's Painting. 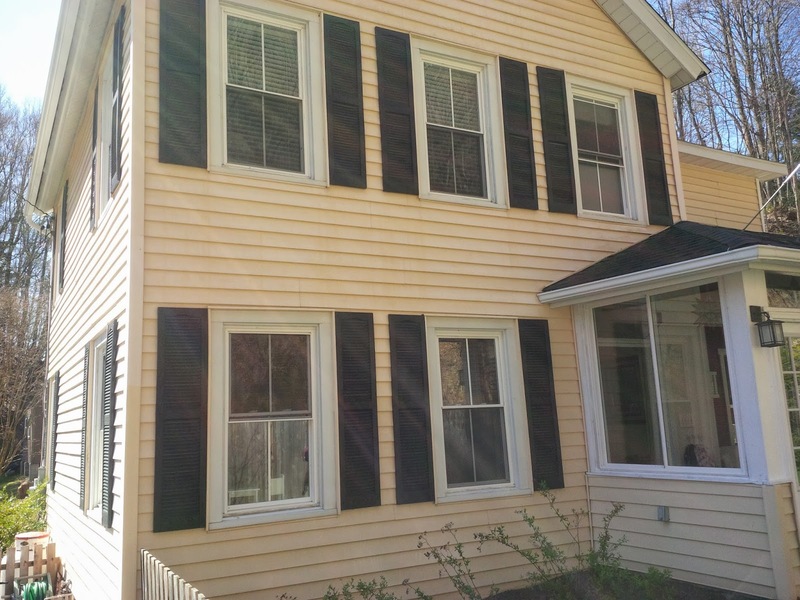 Kellogg's Painting uses low pressure, quality and landscape friendly detergents and we apply a wax to your vinyl siding after the final rinse. Kellogg's Painting is a full service House washing company in Kingston NY and the surrounding Catskills and Hudson Valley areas. 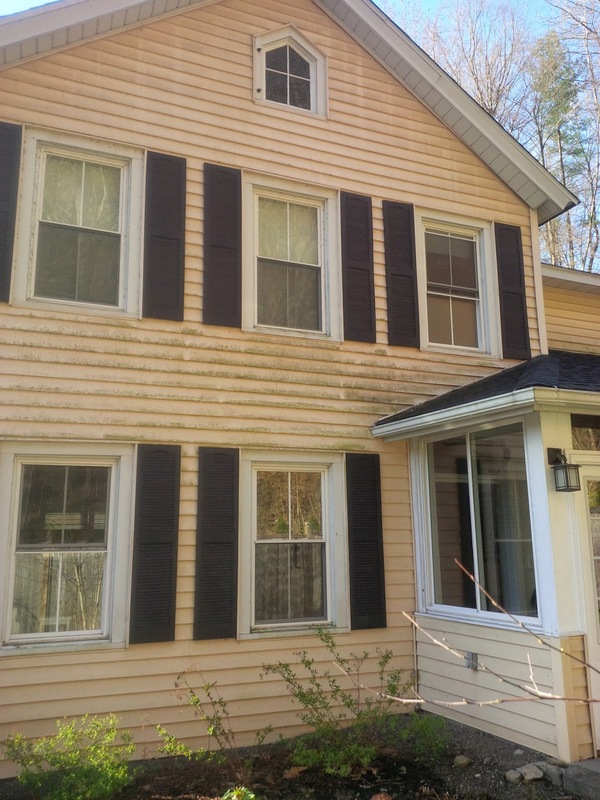 Before Kellogg's Painting used low pressure washing in Kingston NY to clean the vinyl siding and whiten the gutters. After Kellogg's Painting soft washed this Kingston NY home.